Taiwanese ambassador H. E. Douglas Shen and Hon. 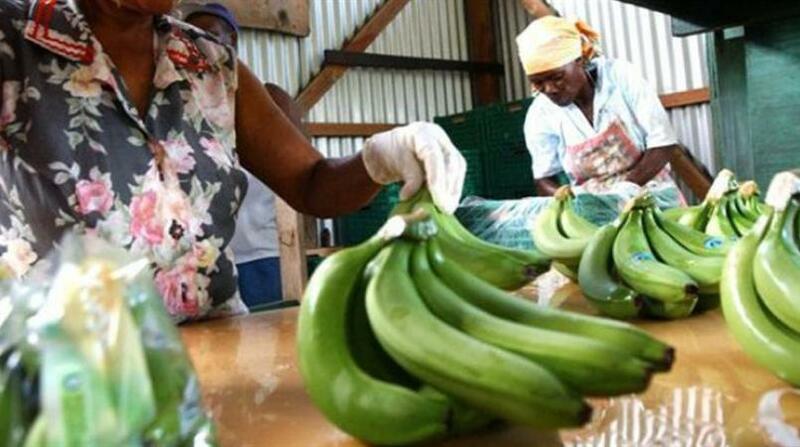 Ezechiel Joseph, Minister for Agriculture, Fisheries, Physical Planning, Natural Resources and Co-operatives, signed a new action plan on bilateral agriculture cooperation – “Banana Productivity Improvement Project” on 23rd February, 2018 for their respective governments. 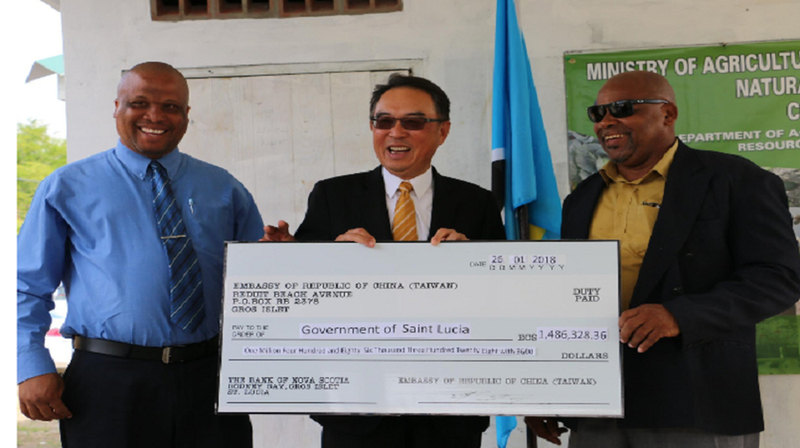 During the signing ceremony, Ambassador Douglas Shen noted that Taiwan and Saint Lucia had cooperated on the Banana Black Sigatoka Management Project (BSMP) in the past five years, and successfully doubled the export of Saint Lucian bananas. 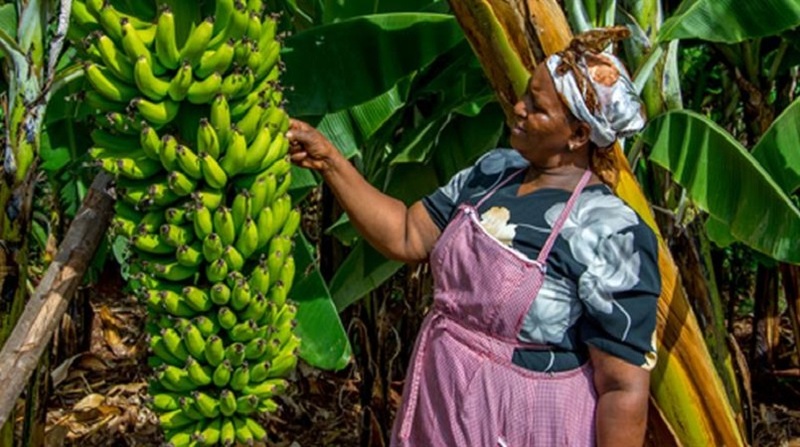 Realizing that the banana industry plays an important role in the economy of Saint Lucia, the two governments have decided to continue their cooperation. He firmly believed that through this joint effort, the capability and confidence of the local banana industry will be greatly improved, and the high-quality produce will once again bring fruitful business to farmers in Saint Lucia. Hon. 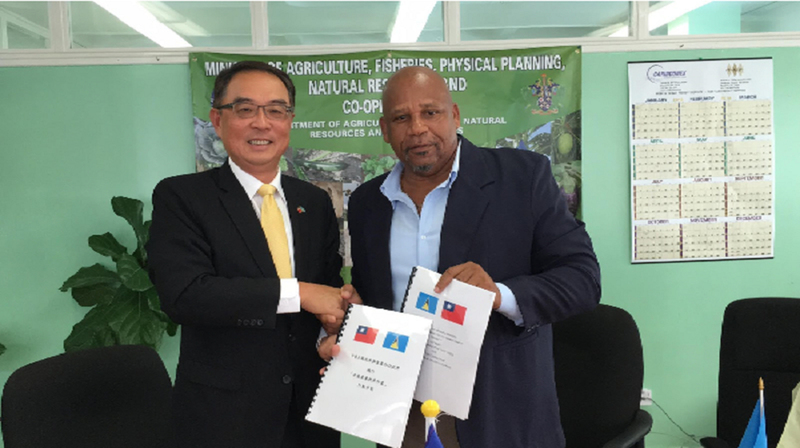 Ezechiel Joseph expressed gratitude to the government of Taiwan for its contribution in assisting the development of agriculture in Saint Lucia and confirmed that the banana production had returned to the pre-Mathew level before 2016. He also emphasized that the Ministry look forward to continue cooperate with the government of Taiwan to further increase the productivity and quality of the local bananas. The new project will be executed over a four-year period. During the first year, the major focus shall be on restoring the industry to pre-Matthew condition and increasing productivity on the existing acreages. Thereafter attention will be placed on expanding current acreages, building resilience to climate change, establishing sustainable financing mechanism, building capacity and strengthen in diseases control measures.